Daisetsuzan National Park has a wide range of hot springs, gorges, and mountains including Asahidake which is Hokkaido's tallest mountain. 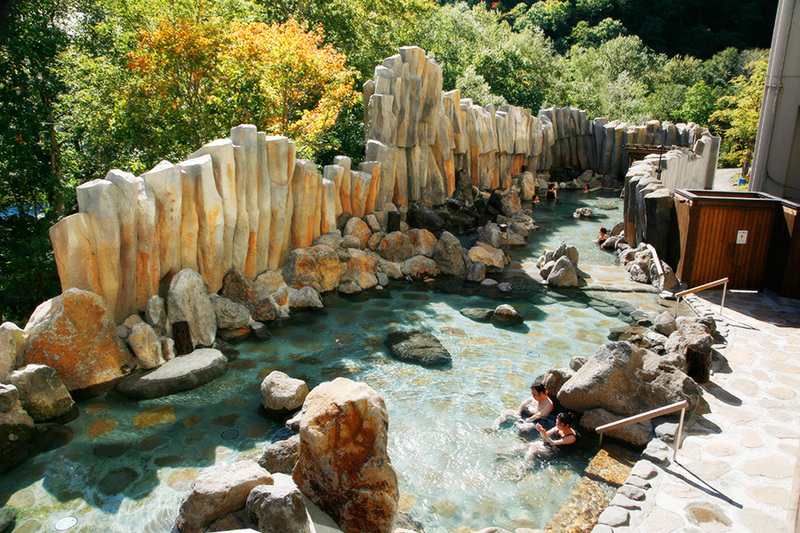 At the northeast side of the park lies Sounkyo Onsen (Sounkyo Hot Spring) which is the most developed section of the park. 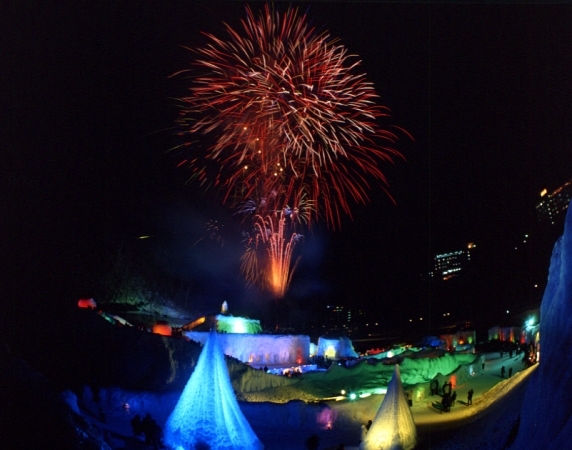 The resort town of Sounkyo Onsen is populated with restaurants and several very large hotels. However, the Sounkyo Gorge is the main attraction of this area. 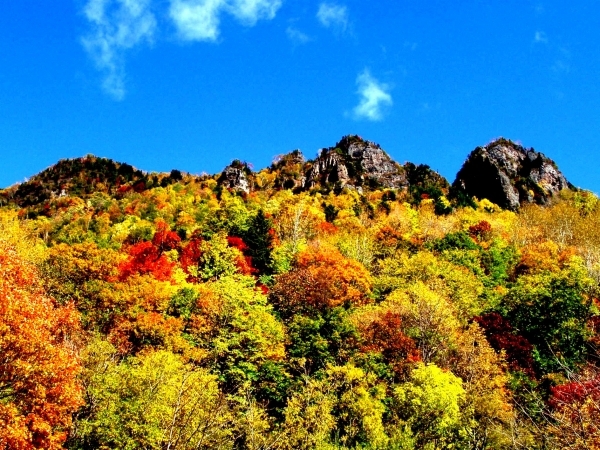 Sounkyo Gorge is located at the foot of Mount Daisetuzan in the center of the park, and this 20 kilometer (12.4 mile) gorge contains spectacular 100 meter (328 foot) jagged cliffs and gorgeous waterfalls. 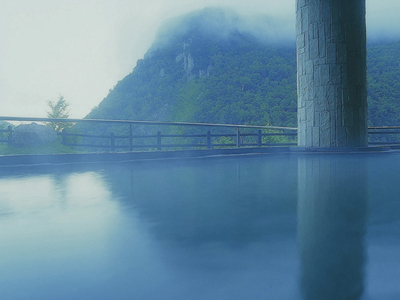 Sounkyo Onsen is a very popular tourist area and attracts over 3 million visitors a year. Welcome to Choyotei. 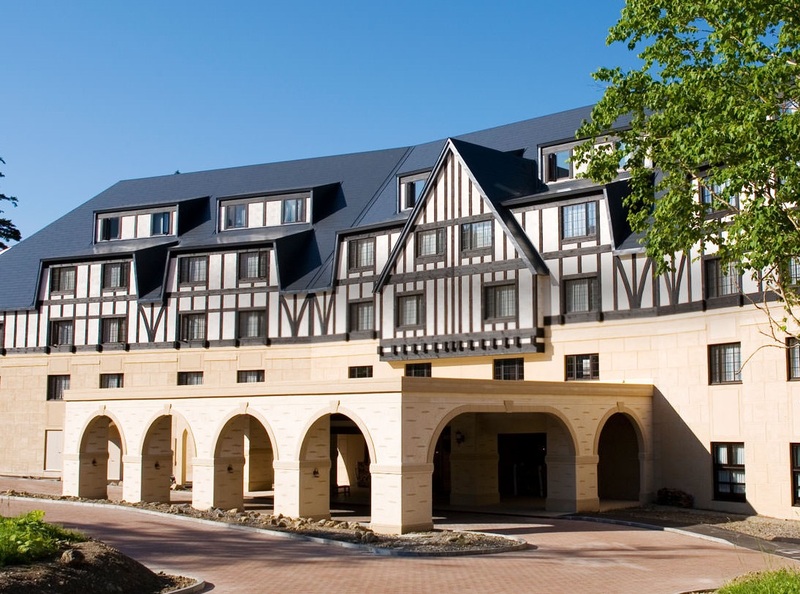 This very large 7 story Ryokan Hotel has 256 Japanese and combined Japanese and Western-style guest rooms. All of the guest rooms have their own private bath and toilet. 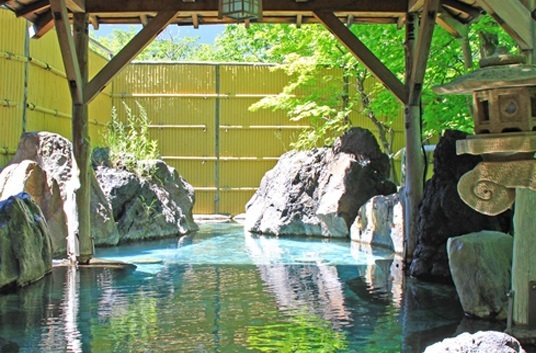 There are indoor and outdoor hot spring baths at Choyotei for both women and men, and the hot spring baths are open 24 hours a day. Traditional Japanese cuisine is served to the guests at Choyotei. Check-in time is after 15:00, and check-out time is before 10:00 am. Parking is available. Welcome to the Shirogane Onsen Hotel. 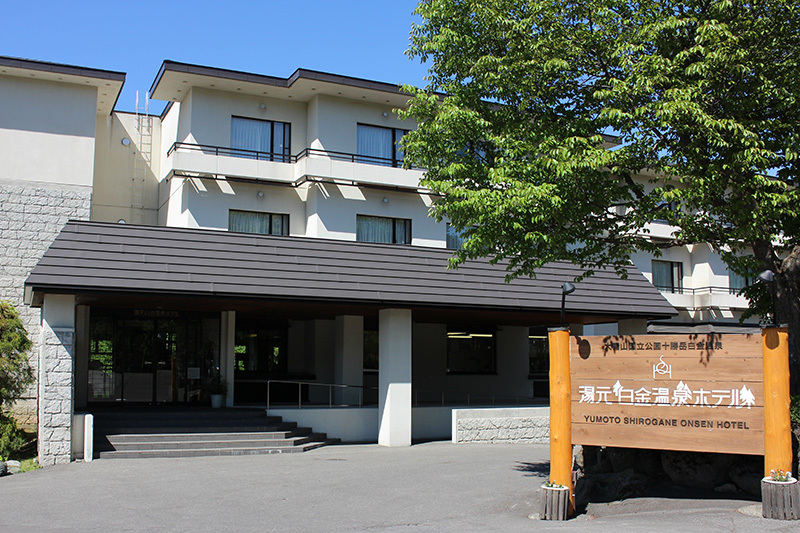 This Ryokan Hotel is located in the center of Hokkaido. 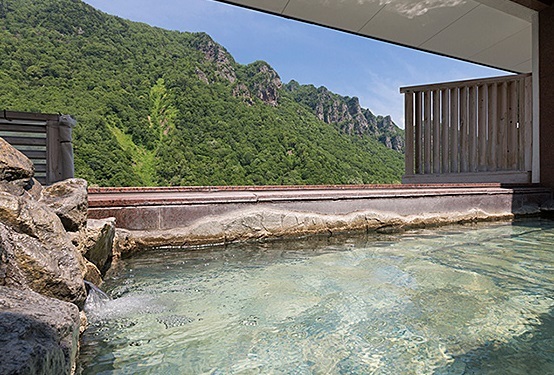 The Shirogane Onsen Hotel is a 3 story building with 38 Japanese style guest rooms, all of the rooms have their own private bath (not a hot spring bath) and toilet. The public baths are filled with hot spring water. The Shirogane Onsen Hotel serves traditional Japanese meals and Kaiseki dinner. 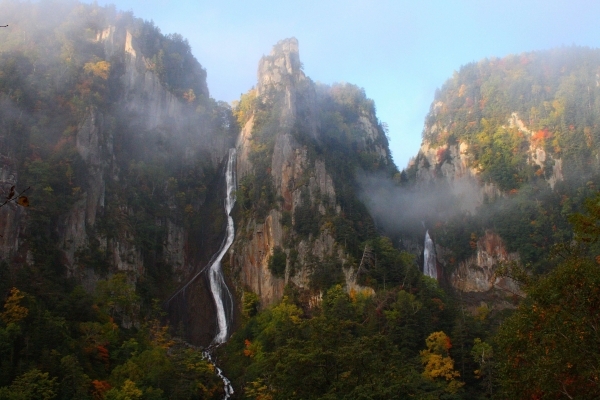 The main attraction around the Shirogane Onsen Hotel is the Shirogane waterfall.